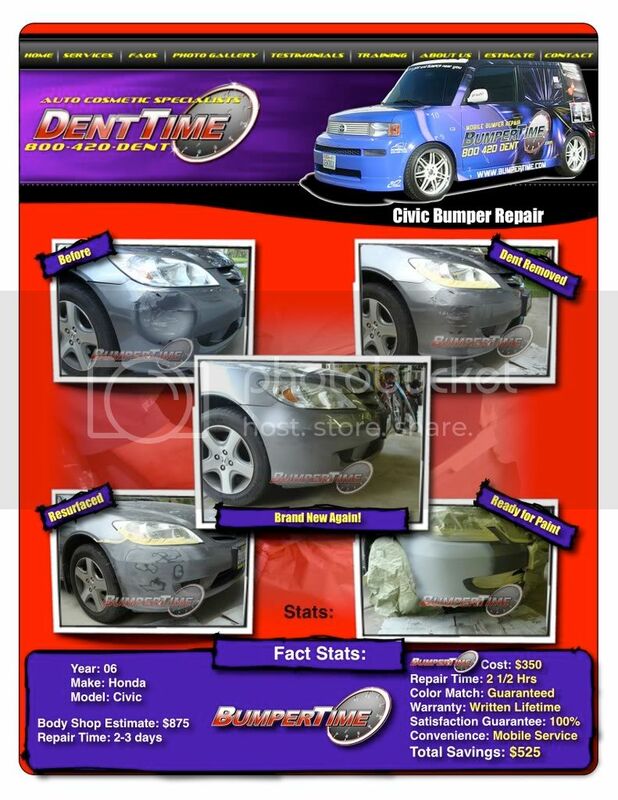 Here’s one of our dented bumper repair jobs we did in San Diego recently. Our service is always consistent with high quality results. Our customer was paying out of pocket and went to a body shop first. He got an estimate for $875 and they needed the car for 2-3 days. Wow! That’s expensive. Next our customer contacted us and emailed us some photos. We explained the bumper repair would cost $350 to repair on site and done right! As you can see, it was achieved. Our mobile bumper repair service provides on-site computer color matching with a written lifetime warranty as well.